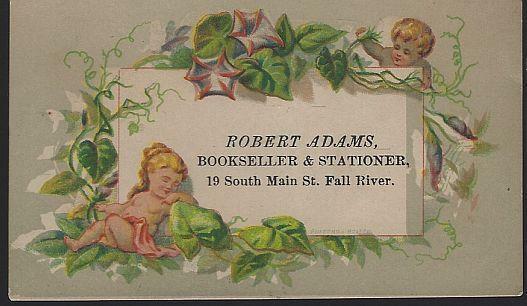 Victorian Trade Card for Robert Adams Bookseller and Stationer, 19 Main Street, Fall River, Massachusetts. On the Front of the card are children and leaves. 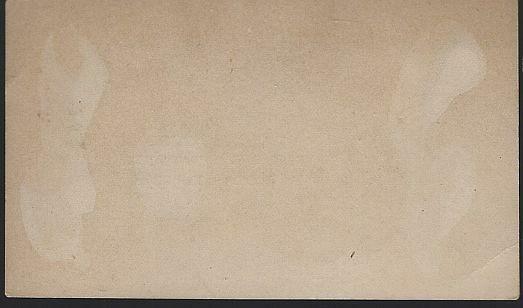 Back of card is blank. Card is 2 1/2" high and 4 1/4" across. Card is in good condition, wear at edges, yellowing light glue stain on back.